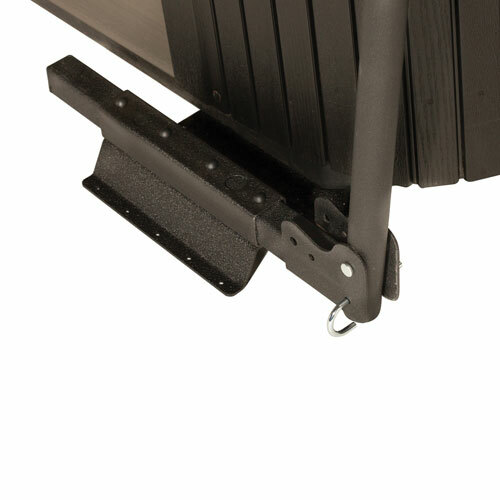 For ease of operation, the Ultralift Hydraulic Mount is the ultimate mounting option. 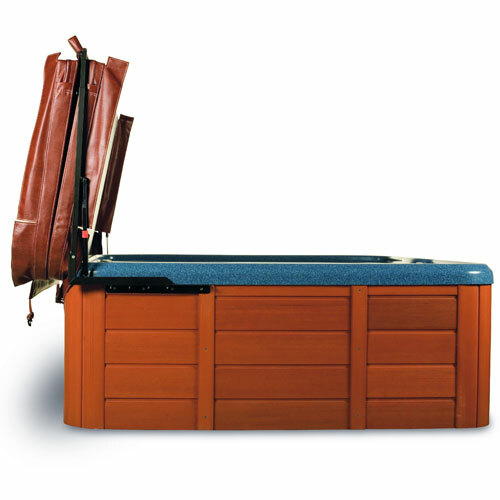 The ULTRALIFT Hydraulic Mount hot tub cover lifter incorporates gas springs to assist with the opening and closing of your hot tub. 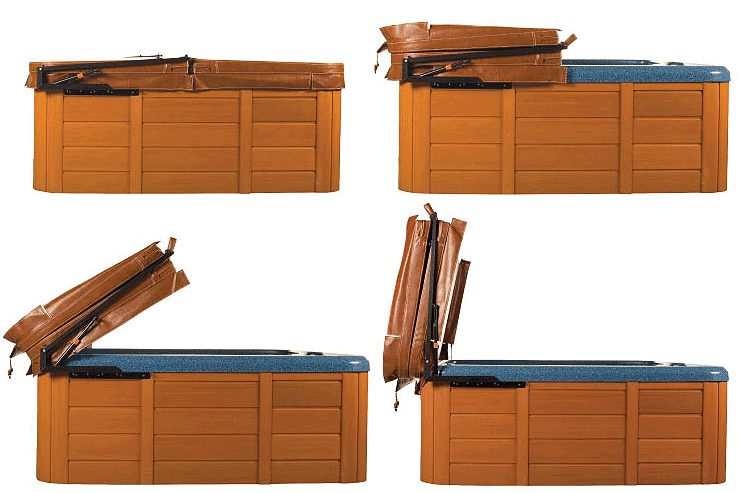 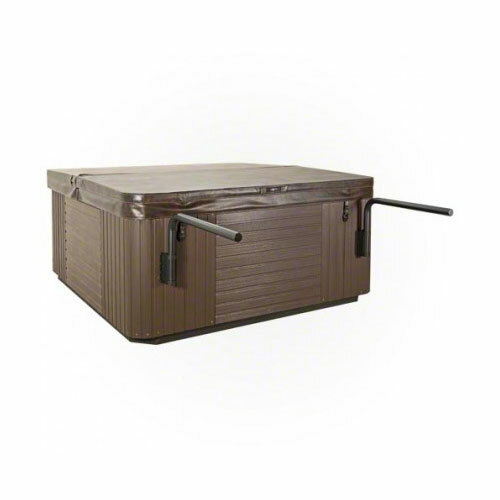 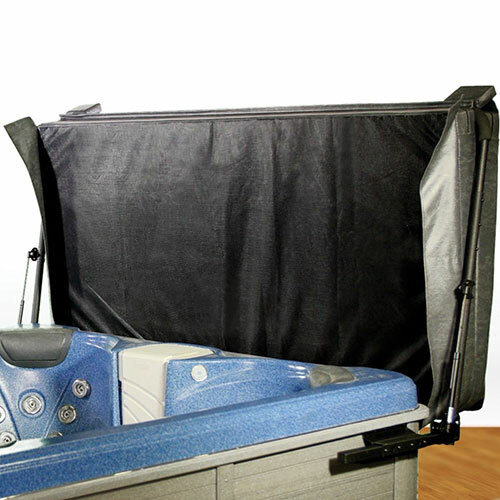 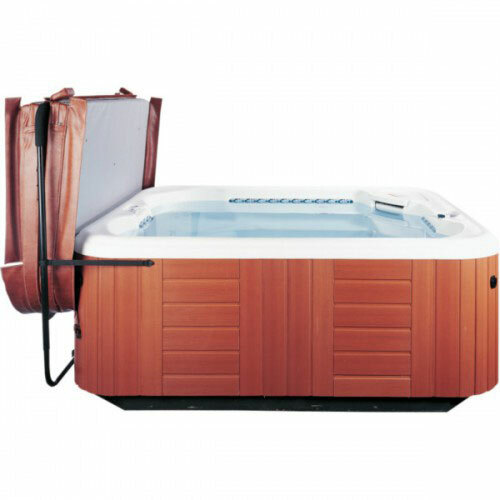 The gas springs off set the weight of the cover , increasing your enjoyment and safety when using your hot tub or spa. 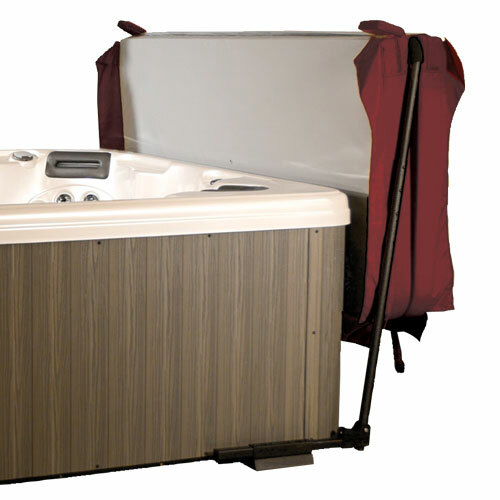 It also makes it easier to place your cover securely and in the correct position when closing, which will reduce heat loss from you tub. 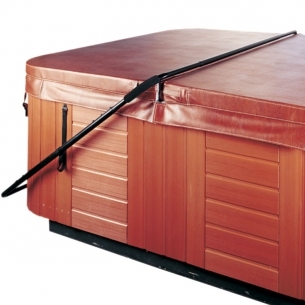 The ULTRALIFT Hydraulic Mount hot tub cover lifter requires very little clearance behind your hot tub – no more than three times the depth of your spa cover. 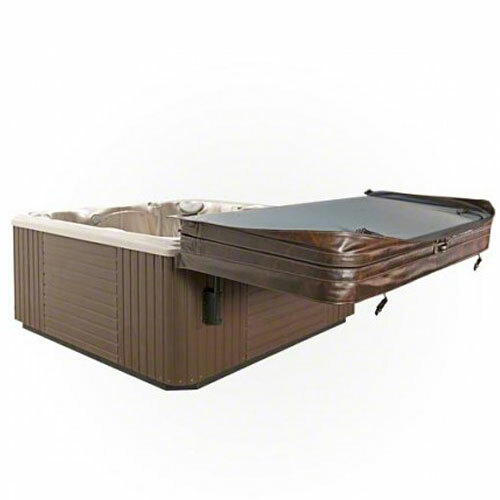 And if your hot tub or spa is set into your deck, the mounting assembly can be attached directly to the floor or deck surface. 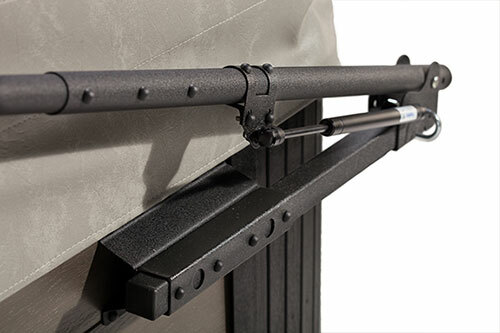 Dual gas postons provide easier cover removal. 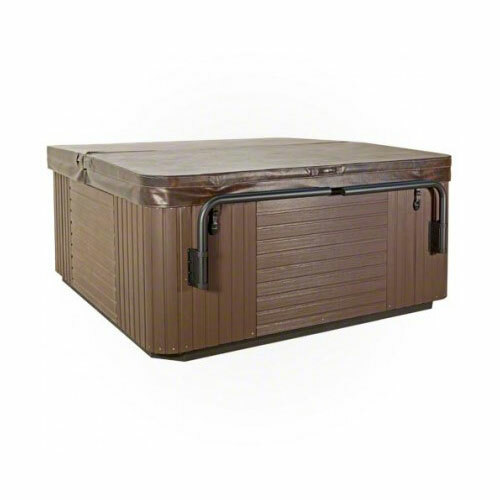 Requires 12″ to 14″ of clearance behind the spa.